Of Joseph Schmidt’s essay, “The Short Story,” reproduced in facsimile in the succeeding pages, I will only say that it was introduced to me two years ago by the writer’s daughter, Jan Schmidt, a frequent contributor to The Wall. Since I first read this essay, I have been waiting for a propitious moment to publish it. Given the bounty of diverse short fiction in this issue, I feel that time had arrived. If you find the essay of interest, by all means continue on to Jan’s “Afterword” which is posted just below the acceptance letter from The English Journal, dated June, 25, 1952. Now called English Journal, the publication, founded in 1912, continues on as the official organ of the Secondary Education section of the American National Council of Teachers of English. Wherefore, enjoy the timeliness of the timewarp, as Vico might have said. ​My dad published this essay, “The Short Story,” in 1952, the year that I turned four, my brother about six and my sister had just been born. Within ten years we’d grown to a family of six children. We lived in Superior, Wisconsin, a small town of about 28,000 on the tip of Lake Superior. 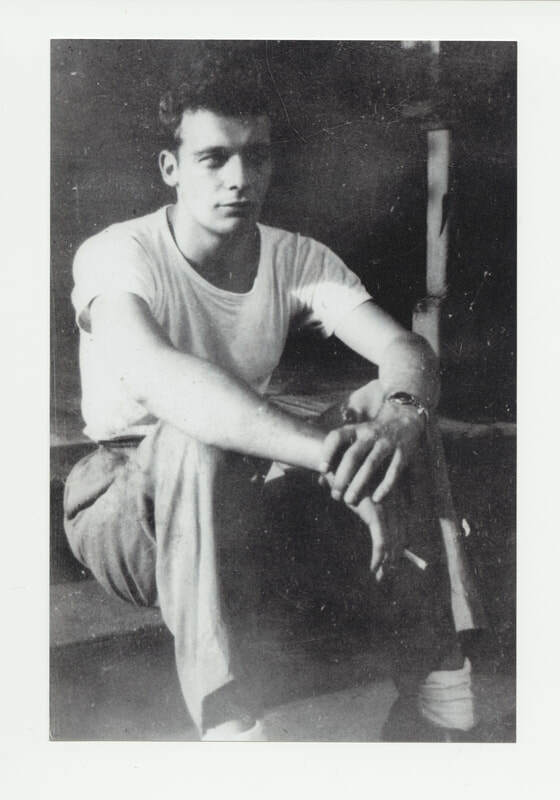 In the year that he was teaching the short story, my dad was 30 years old and his dad lived with us. In 1951, in November, my sister was born and my dad’s dad died the next month right before Christmas. My mother remembers this as the time dad took his dad’s body back to Iowa, and she was taking care of three children, including a four-week-old infant. We all got sick and she spent the time cleaning up after us. 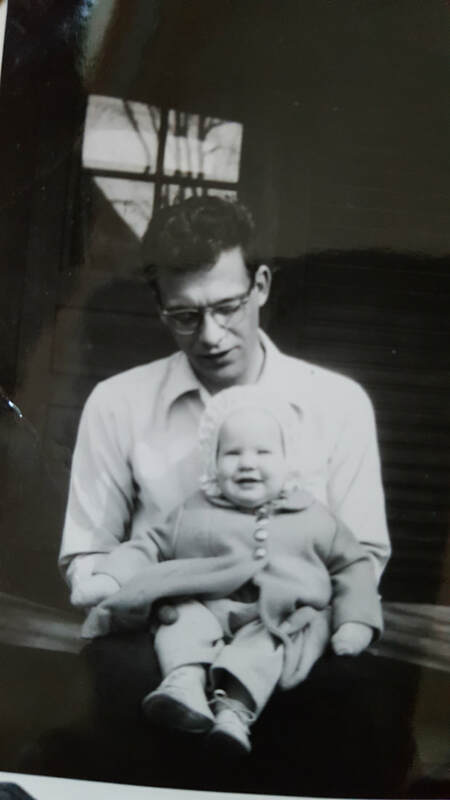 It is hard to imagine now, that while my mom and dad worked, dad as teacher, mom as nurse, and cared for three children, they both were writing essays and short stories. And they had no car. They’d take a bus to visit dad’s dad in the hospital. In an interview, mom tells the story of being in fourth grade with dad. He’d just moved from Boone to Council Bluffs, Iowa, where my mother lived. “Joe was always a real good reader and one of the smartest ones in the class. There was one of the nuns that would make us read till we made a mistake. He never made a mistake so he'd just read on and on and on. Which wasn't really a good learning thing for the rest of the class. I thought he was real cool. Then he moved back to Boone, about when I was in seventh or eighth grade. When I was in nurse’s training and he was out of high school, his family moved back to Council Bluffs. Joe started going to Creighton University in Omaha after he graduated. I saw him again in the library and I asked him if he could remember who wrote The Song of Bernadette. What a gambit. And he knew it was Franz Werfel. So we talked a little bit and then he walked me home from the Library. And that started the whole thing.” My dad and mom were married for more than forty years and had six children. Dad was the first in his family to go to college. He maintained close friends from college all his life. During these later years, he succumbed to depression and alcoholism, finding some relief for ten years in AA. A life-long smoker, he died of lung cancer in 1986, a couple years after he retired. At the time of his retirement, young female students still chased him down to give him presents. He had a great effect on his students, right up till he retired.